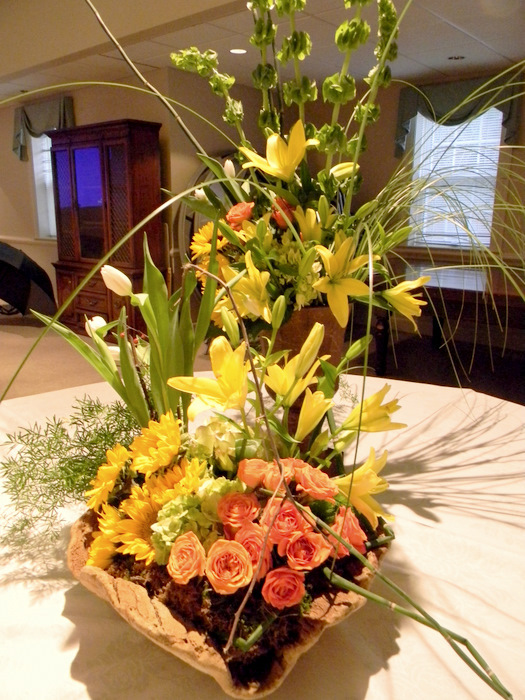 Exhibiting members of the Mountain Brook Art Association 2012 Spring Show and member volunteers are invited to enter the annual competition depicting the floral arrangement by Norton’s Florist pictured below. 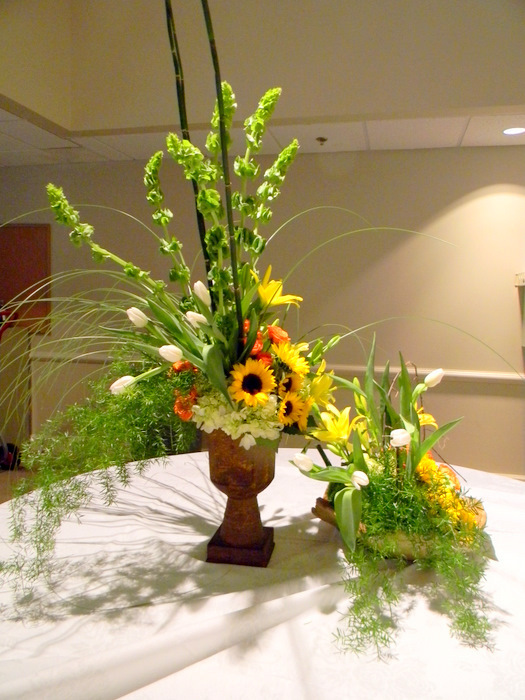 Norton’s Florist Annual Competition is sponsored by Norton’s Florist and owner Gus Pappas. 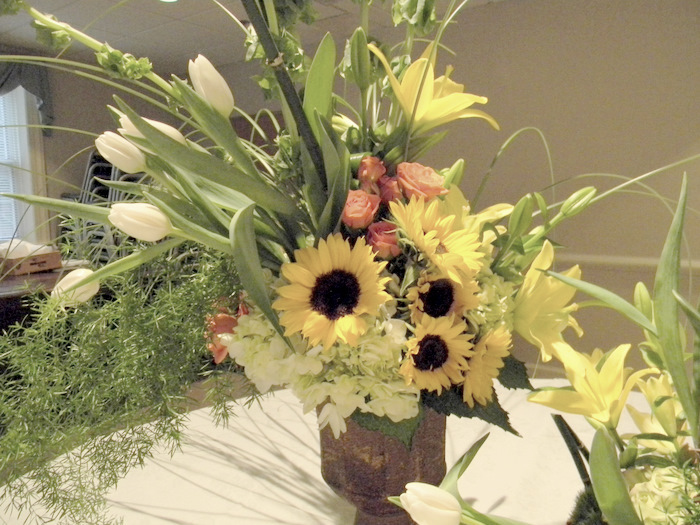 A different floral arrangement each year is displayed at the January meeting for members to photo and sketch. 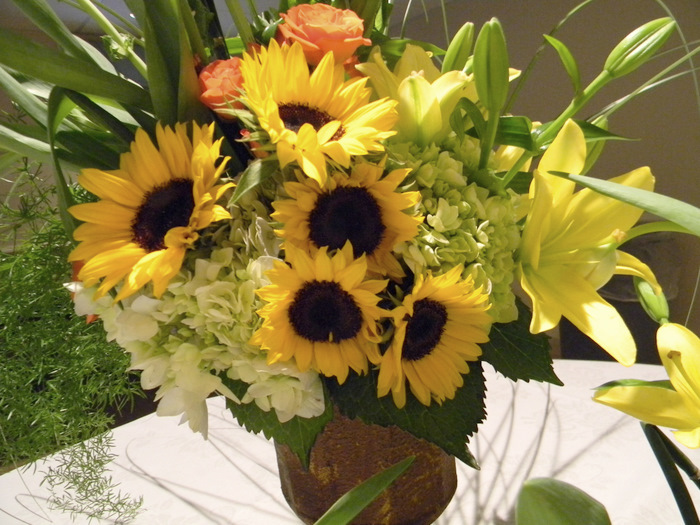 Some artists pick out a portion of the arrangement to paint, some paint the entire arrangement. They are always creative and different. The resulting paintings will be displayed at the Spring Show on April 21st, 2012 and the winner will receive a gift certificate from Norton’s along with a photo in the newspaper. To be considered for an award, two-dimensional entries only must be delivered to the Hospitality Booth on Saturday, April 21st, 2012 by 8:30AM. 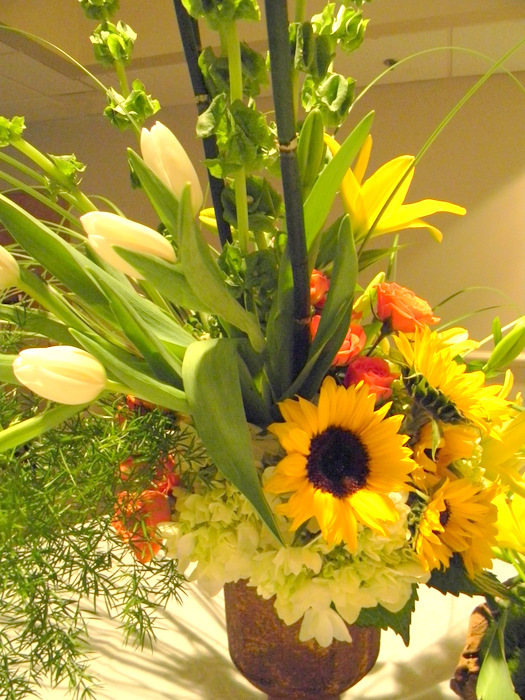 The winning entry will be announced by noon and the artist and winning entry will also be featured on the website. Good Luck! Note: If you’d like to print images below, click on the corresponding thumbnail below the slideshow and select “permalink” below the image. The resulting page can then be printed using your normal print settings. Note that these images are 700 pixels and are not high resolution, so can be only slightly enlarged. 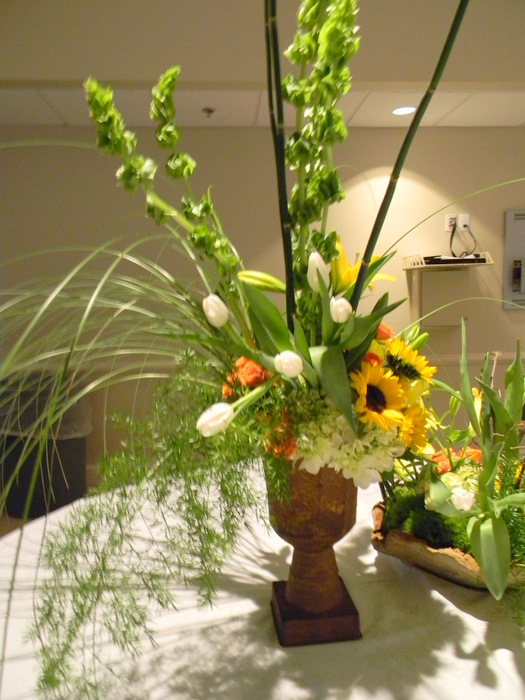 Gallery | This entry was posted in Announcements, Artist News, Competitions, Photos, Top Menu and tagged competition, floral competition, Gus Pappas, MBAA, mountain brook art association, Norton's Florist, Norton's Florist Annual Competition, sprng show. Bookmark the permalink.